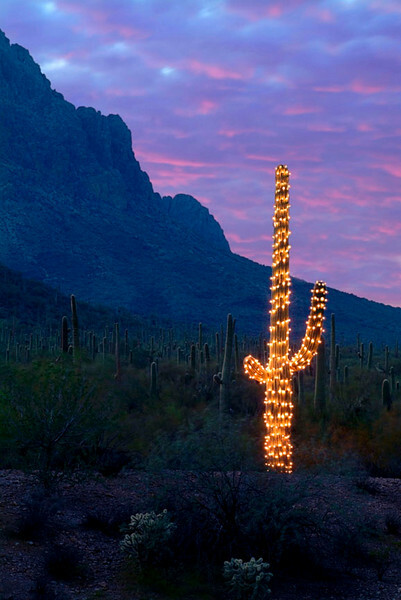 A saguaro cactus at dusk decorated in for Christmas. Believe me when I tell you, a 20 foot tall saguaro is not the easiest thing to string with lights. A wire was run to an inverter in the SUV. Would like to speak with you about using/purchasing your photo for our Christmas e-card.